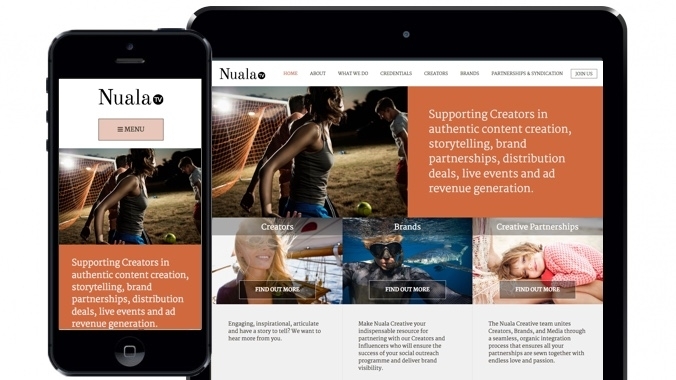 We have recently launched a brand-new modern website for creative marketing agency Nuala.tv. 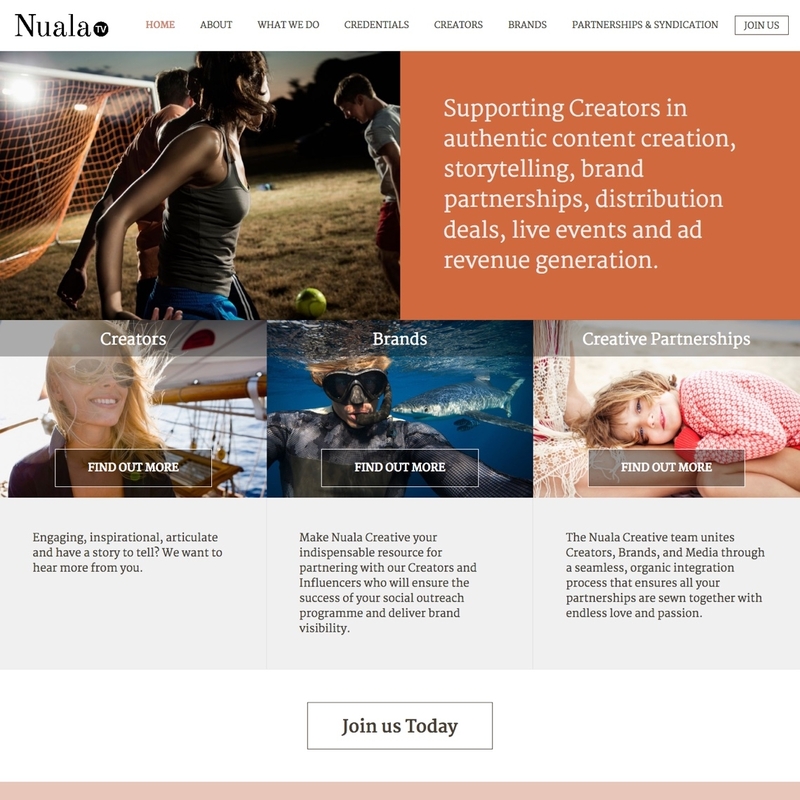 The Nuala.tv website is completely new build, with no previous website. 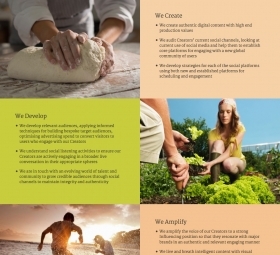 This gave us the opportunity to develop a brand from scratch without having to take in to account any existing brands. 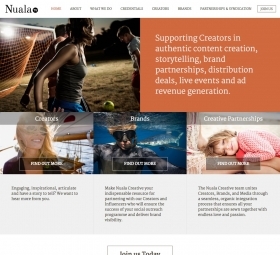 The new website features a modern, dynamic layout that is both functional and flexible. Photography also plays a large part in the design. The web is great platform for communication, but sometimes nothing beats being able to talk in person. 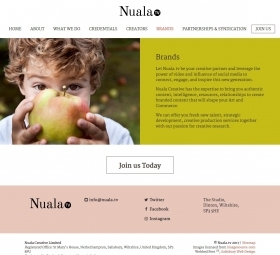 We were lucky enough to work closely with Nuala's Founder, Christina Vaughan. Christina made great use of any opportunities to pop in to our office and sit with us during the design stages. This allowed us to rapidly produce designs and acquire feedback, leading to a strong and focused result. Alongside the website we also developed a new logo and a range of branded stationary such as business cards, letterheads and postage labels. 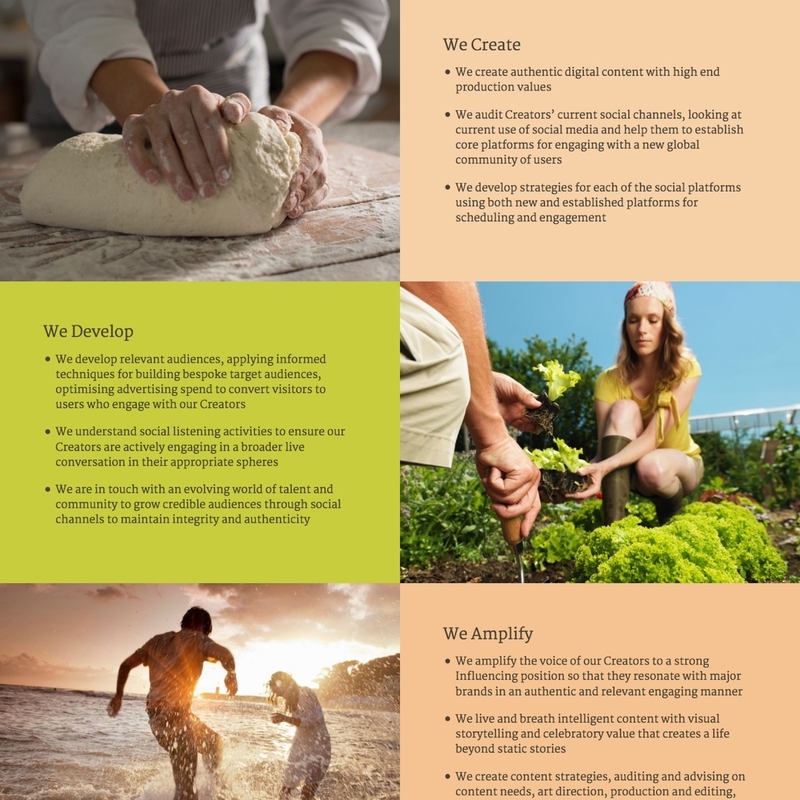 If you are looking for a website for your social media agency, contact us today at Webbed Feet. It has been an absolute pleasure to work with the team at Webbed Feet. From start to finish, I have received professional responsive service. 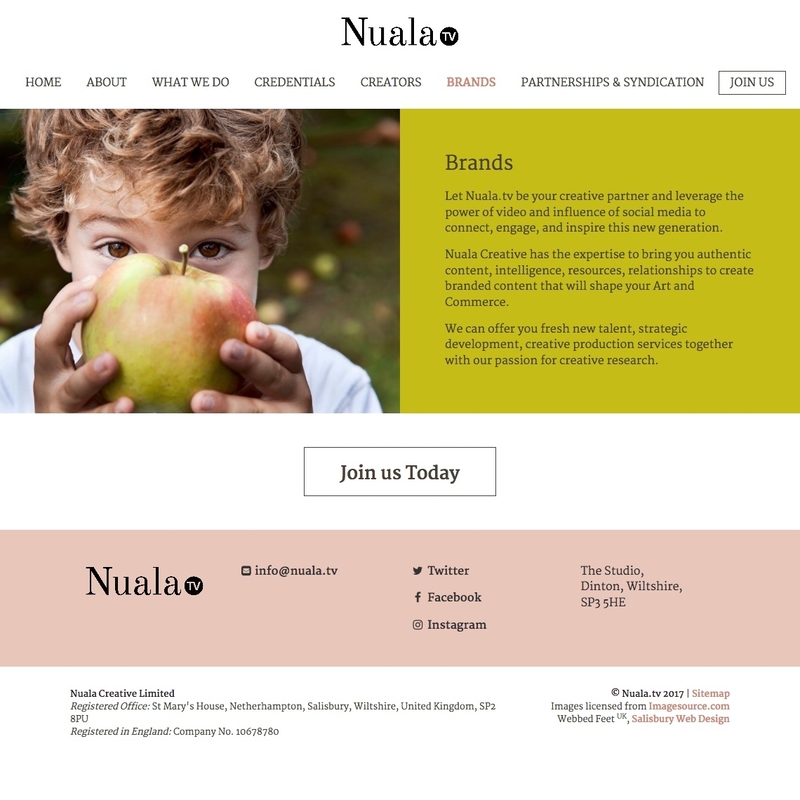 I am absolutely delighted with the look of the website and most importantly, the technical standard - it is fast, slick, navigates easily and also looks exactly as I wanted it too - on budget and to deadline. I have worked with many web designers over the years and Webbed Feet are one of the best. Thank you!